Re-create a familiar biblical story with the help of an ark shown on the inside covers and charming sticker illustrations of Noah and his famous menagerie. 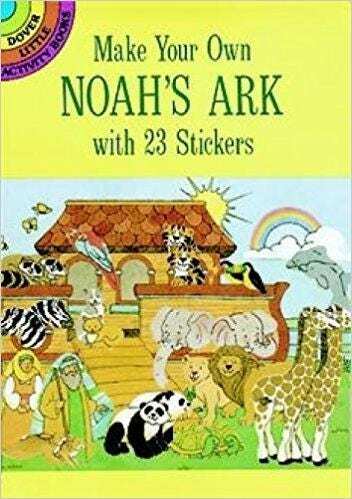 Also included are 23 charming stickers depicting Noah, his wife, a rainbow, and pairs of turtles, zebras, tigers, lions, elephants, butterflies, giraffes, and other creatures. Simply apply these reusable stickers to the background picture to create different scenes from an old, old story.